Totem Tamers presents WARRIOR WEDNESDAY! 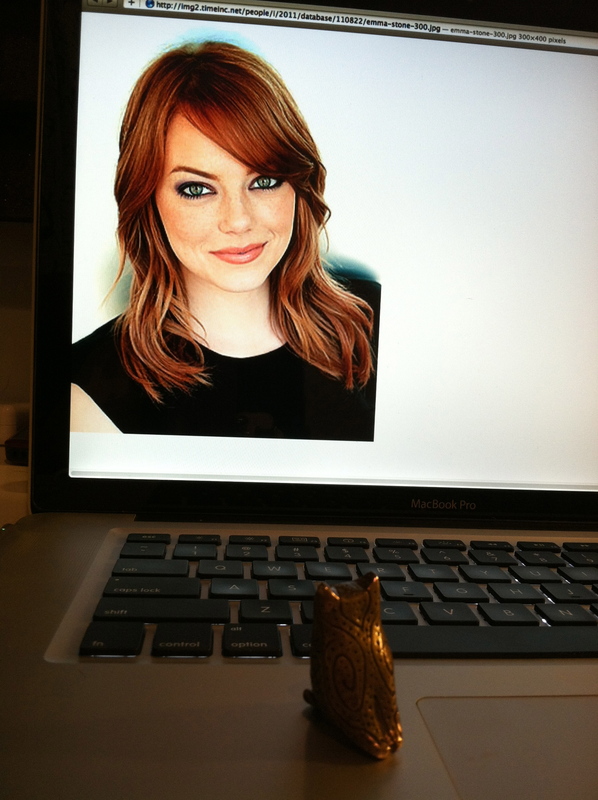 This week OWL has named actress Emma Stone our honorary WARRIOR! Emma recently shared that she suffered from debilitating panic attacks through most of her childhood. When people share their stories it gives others who suffer from similar issues an opportunity to speak up and get the help they need. Thank you Emma Stone for being brave enough to share and with your honesty and a Totem you never know what you can accomplish! Totem Tamers is proud and honored to be a sponsor of International Youth Day 2012 presented by mindyourmind! http://mindyourmind.ca/international-youth-day/ Mindyourmind is an incredible organization linking youths and young adults with professionals and their resources, providing a forum for those struggling and coping with life’s daily challenges. 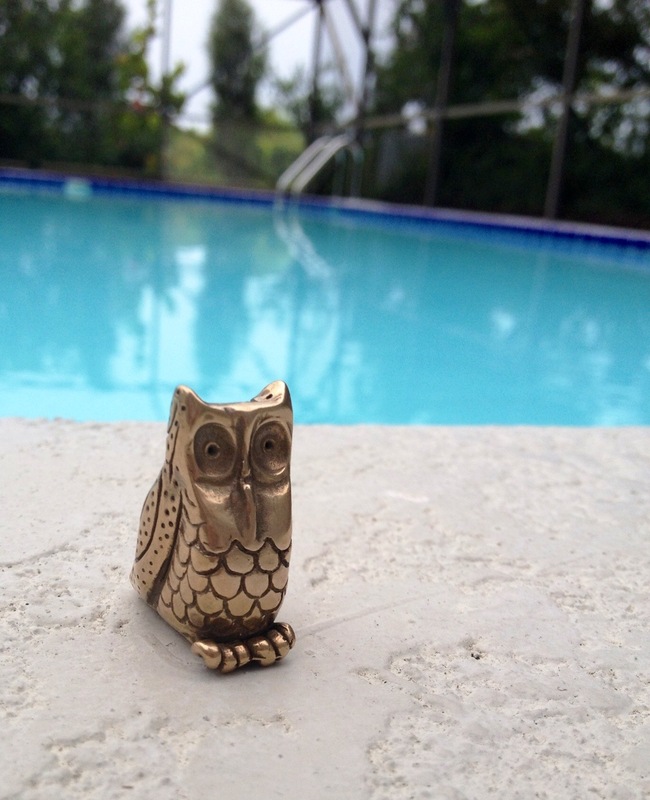 Since there is a bit of a heat wave going on, OWL decided to head to the pool, but not before posing for this picture. Head to www.totemtamers.com to see more and get a peak at the OWL booklet!! Thanks for your support everyone! Achluophobia may sound like a sneeze, but it’s nothing to sneeze at, it means fear of darkness. Many children and adults are afraid of the dark. That’s why we have OWL being released this week! 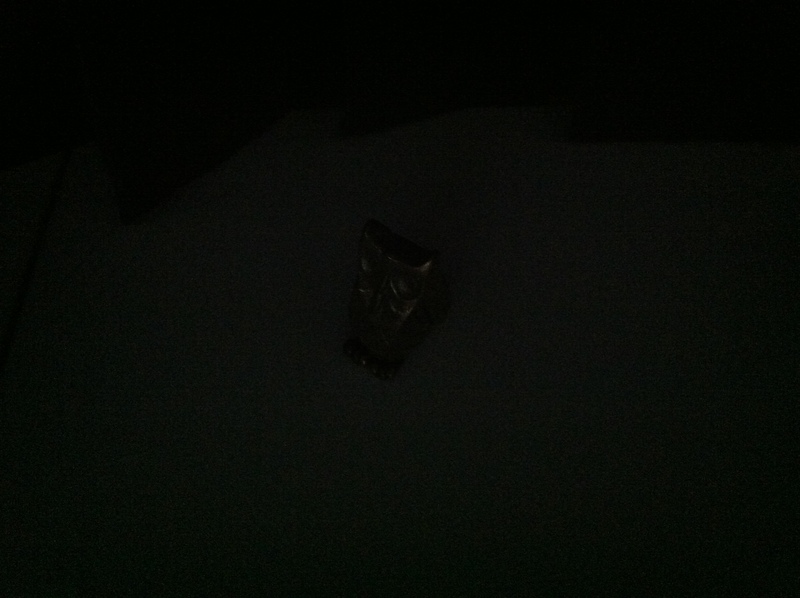 Owls have amazing night vision and with your OWL totem by your bed you can rest assured that OWL will protect you. Even in the darkness, OWL can see. More than 25% of the population suffers from the fear of flying. I suspect that the number is much higher and that the fear of flying stops many from seeing this great planet of ours. 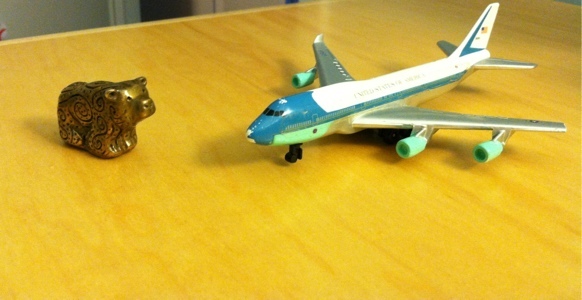 There is even a word for this condition: Aerophobia! With your totem in hand, visualization and deep breathing, you never know where you might land! Grab your totem and grab your suitcase! I have the gift of gab, I can talk and talk. Ask my kids! They will gladly tell you that “Mommy is always talking.” I will talk to anyone, from the sanitation workers to celebrities. I generally don’t have anxiety talking to famous people, the only one who ever made me nervous was Kathleen Turner, but that’s a story for another day. Today was a celebrity type of day and once again I found myself chit-chatting with none other than Chef Rocco Dispirito. Now to be fair he came to my son’s kindergarten class to do a healthy cooking lesson, so it made it that much easier. He was gracious, generous, and gifted with the children. It was fun to watch the kids, who were initially shy to meet him, just open up and be their cute little selves. Chef Rocco is working hard to introduce kids to healthy foods and taught us how to make healthy cupcakes. The recipe includes black beans!!! As a gift for coming by, my sweet little boy gave him a Totem Tamers gift set and Rocco was genuinely pleased, and I was proud of my boy who at almost 6 years old had Mommy’s gift of gab and explained with ease all about Totem Tamers. Take a chance this weekend and try to talk to someone new, you never know who you might meet!